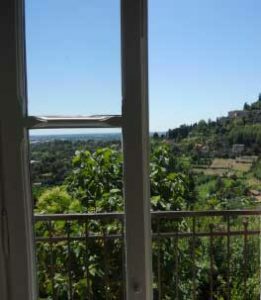 The B&B A Casa Mia is a small property which offers two non smoking rooms. In a family atmosphere you can enjoy a rich breakfast, sweet and savory. You will also have the opportunity to consume coffee, tea and herbal teas throughout the day. Cristina and her family will help you to spend a pleasant stay in Bergamo for helping your every need and requirement. 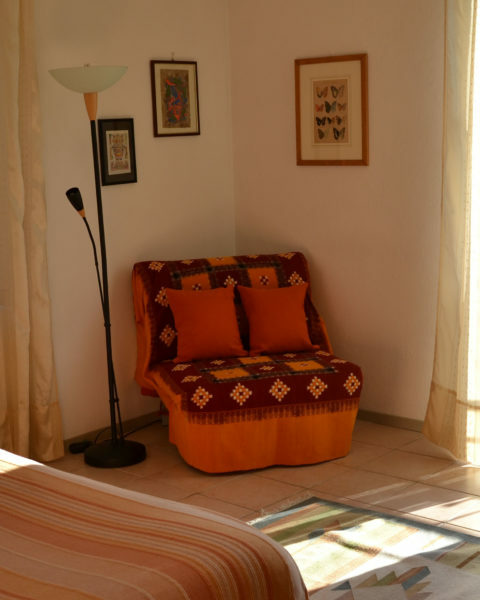 The B&B A Casa Mia offers no-smoking rooms, satellite TV, Dvd Player, Internet access, bathroom with hairdryer. The Orange Room. is a big room ideal for families, that can host up to four people, with private bathroom (outside of the room) and a balcony with view of the hills. The Red Room, a double room that can host up to three people, with private bathroom (inside of the room) and a balcony with view of the hills. Each room could have queen-size bed or single bed and if you request it you can have an extra bed. There is also the possibility to ask for a cradle up to 2 years old and and high chair. Those who wish can make use of an iron and an ironing table.